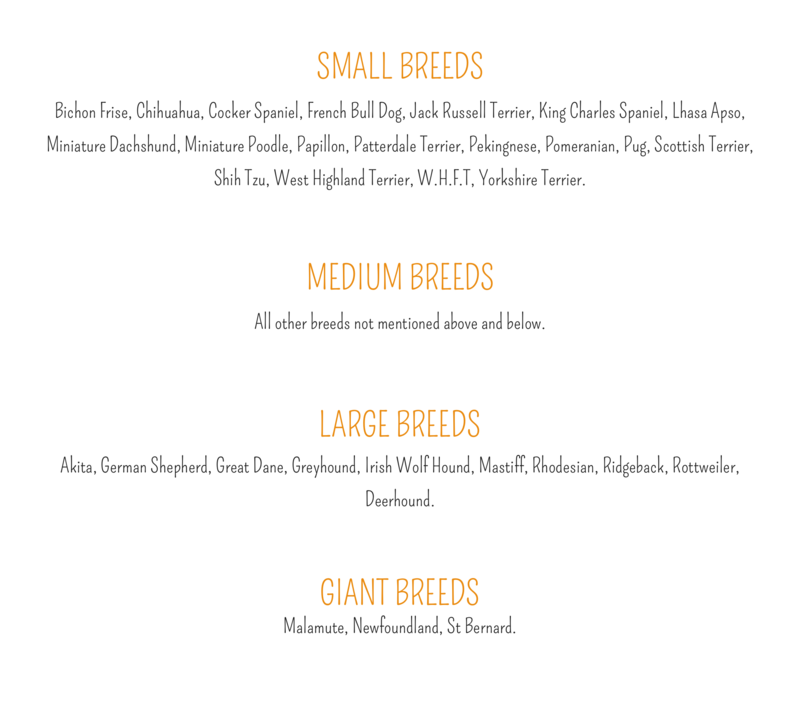 Unsure what size your dog is? Please note: payment by cash or cheque only please as we do not accept cards. Dogs and cats must be fully inoculated and certificate needs to be shown before allowed into the kennels or cattery.